Stumbled upon this. Interesting how they laid it out to make it look like CBD is the better choice. The prejudice about THC is pervasive, isn’t it? Hmmmm.... do we really want to make THC look bad? I feel compelled to see if that can be reworked to bring the cannabinoids into a better balance when thusly represented. Wow @HashGirl ! You’re gonna have me using spreadsheets, I can see it now! I’m getting ready to take the dog out. I’ll take a look at it when I get back. It’s been raining the past couple days and we’ve been housebound. The way through opposition isn’t resistance, it’s patient education. We change perceptions by being passionate and well-educated. ! I lists and spreadsheets. They make tracking stuff so much easier than having to write it out. I write as little as possible. I hate my handwriting and besides that it hurts my fingers to write for very long. Thank god laptops can be used at meetings now for taking minutes. Reading is my passion but music is in my soul. you may want to check out my blog, A Stoner's Random Thoughts Blog. @HashGirl, I can’t see any patterns at all in that. IMO it has everything to do with the ability of the plant material to hold oil. Some plants are more fibrous. Without having seen the material going in I’d be guessing. Honestly, I don’t think it has anything to do with anything you’re doing. It’s the fiber retention rate, and how would you predict that? One workable solution is some edible that you can incorporate that mash into. Another is to turn your buds into either CCO, rosin, or keif and use that to make your biobombs. I’m trying to make sense of this. The course I took with Dr. Smith over at Green Flower on Opiate tapering recommended Acetaminophen as a THC substitute, because it’ll act as a pain reliever in the same way THC would. I’ll have to jump over and check that out to be sure. So what’s changed? Did we suddenly find out they got it wrong? Hmmm.... I wasn’t expecting another romp through pharmacokinetics so soon. I’ll dig it up tomorrow. Time for some leisure moments. That study was from 2005. But then McPartland et al published their paper in 2014 and specifically mentioned that Acetaminophen doesn’t activate cannabimemetic responses in humans. Am I the only one who sees the disparity in this? I don’t doubt that Tylenol acts on pain. I’m just no longer certain recommending it is a good idea. Prof has more info in that article I’ll look at. That ProfofPot article speaks of the synergistic effects of NSAIDs and cannabinoids that may be worth looking more closely at. I’ve been through times of incredible frustration with Big Pharma’s training us to take their single-molecule meds, but it’s softening to looking for ways to join hands and work together. This species specific stuff is interesting - esp when we know cannabinoid therapy can be “individual” specific. A side note that NSAIDS aren’t safe for everyone - i was hospitalised twice some years ago before we figured out that’s what the problem was. Then found out about many others with similar reactions (which Dx would never acknowledge). So they may be synergistic with cannabinoids, but they do other things as well. Not sure that contributes much to the convo - sorry Sue. I haven’t been here a while and your posts on this stuff always send my mind off on tangents! Sue, fwiw, I’ve noticed that combing a couple of Tylenol with an infused-oil cap (or vaping) is much more effective for pain, and a general feeling of well being, than either alone. It’s like one enhances the other. Of course I could say the same thing about adding a glass of wine or two! I use to eat Advil like candy and knew I couldn’t keep it up without destroying the stomach. That’s went I rediscovered pot. Now, I leave the Tylenol alone unless things get really bad. Thanks for sharing that Mike. I trust the evidence from our members, and it’s nice when that evidence mirrors the recommendations of the medical professionals. I wasn’t aware NSAIDS were that dangerous Amy. I live in a bubble these days. That’s important to know. And your contributions are always a valuable addition. Not everyone has such extreme reactions but if many people do, then they could potentially be doing more subtle damage in other bodies. They’re certainly not good over long periods I don’t think. The doctors treating me refused to acknowledge that it could have been the NSAIDs - they were more interested in screening me for bowel cancer... which they never did in the end. I was convinced when 2 months later I was advised to take them again for the same back issue and within 2-3days the same ‘events’ occurred (and since, I’ve heard many similar stories). Maybe it was a reaction because of the other conditions I have that i didn’t know about back then (specifically the mastocytosis). Still, it was enough that I’ll never take them agani! Maybe I should reconsider my NSAID - mobic, the only prescribe med I take is half a 15 mg pill a day. Pretty severe intestinal bleeding was part of what happened to me. The don’t lie down for a time thing also suggests it has the capacity to burn internal linings. The wiki page for it says it shouldn’t be used ongoing... it references this page for professionals on the drugs.com website. Meloxicam reference guide for safe and effective use from the American Society of Health-System Pharmacists (AHFS DI). And for Sue... the warnings right at the top of that page! Reactive metabolites of acetaminophen activate and sensitize the capsaicin receptor TRPV1. Eberhardt MJ, et al. Sci Rep. 2017. [...]Our data demonstrate that pBQ and NAQPI activate and sensitize TRPV1 by interacting with intracellular cysteines. While TRPV1 does not seem to mediate acetaminophen-induced hepatotoxicity, our data identify TRPV1 as a target of acetaminophen with a potential relevance for acetaminophen-induced analgesia, antipyresia and inflammation. reactive metabolites parabenzoquinone (pBQ) and N-acetyl-parabenzoquinonimine (NAPQI). acetaminophen counters pain and fever, but may cause inflammation. Does anyone else read it that way? Ahh... we’re family, and thankfully, functional. I like that the tendency on this site is to hear the words with love and respect. That says teams about the people we spend our time with here. NSAIDS are supposed to work synergistically with cannabinoids. Our real-life experiences teach us to do so with caution. Whatever the cost, it’s not in my plans right now. I don’t even know yet what qualifications get you access to the information. Isn’t it nice how they’ve worked it out and then kept it to themselves? Don’t much matter. We’ll figure it out piece by piece. I can see the challenge will be in getting it organized. There’s so much to learn. The more I learn the more I realize how little I know. For a start, it’d be nice to have a practical handbook on cannabis therapies based on real-life experience, wouldn’t it? Cannabis has been employed medicinally throughout history, but its recent legal prohibition, biochemical complexity and variability, quality control issues, previous dearth of appropriately powered randomised controlled trials, and lack of pertinent education have conspired to leave clinicians in the dark as to how to advise patients pursuing such treatment. With the advent of pharmaceutical cannabis-based medicines (Sativex/nabiximols and Epidiolex), and liberalisation of access in certain nations, this ignorance of cannabis pharmacology and therapeutics has become untenable. 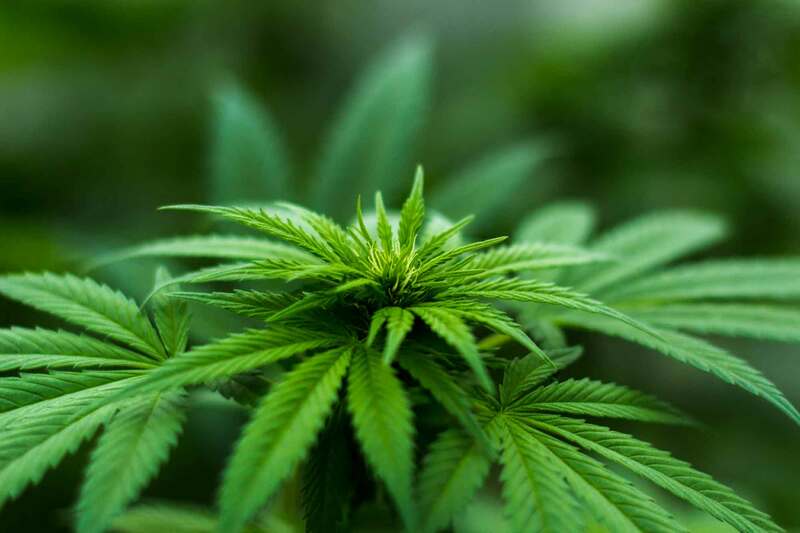 In this article, the authors endeavour to present concise data on cannabis pharmacology related to tetrahydrocannabinol (THC), cannabidiol (CBD) et al., methods of administration (smoking, vaporisation, oral), and dosing recommendations. Adverse events of cannabis medicine pertain primarily to THC, whose total daily dose-equivalent should generally be limited to 30 mg/day or less, preferably in conjunction with CBD, to avoid psychoactive sequelae and development of tolerance. CBD, in contrast to THC, is less potent, and may require much higher doses for its adjunctive benefits on pain, inflammation, and attenuation of THC-associated anxiety and tachycardia. Dose initiation should commence at modest levels, and titration of any cannabis preparation should be undertaken slowly over a period of as much as two weeks. Suggestions are offered on cannabis-drug interactions, patient monitoring, and standards of care, while special cases for cannabis therapeutics are addressed: epilepsy, cancer palliation and primary treatment, chronic pain, use in the elderly, Parkinson disease, paediatrics, with concomitant opioids, and in relation to driving and hazardous activities. - Cannabis need and tolerance depends on prior patient experience and underlying endocannabinoid tone. - Doses >20–30 mg THC/day before tolerance risk psychoactive and other AEs. - Patients should never confuse psychoactivity with efficacy. - Correct dose is the lowest that produces therapeutic benefit without associated AEs. What sent me down this rabbit hole was this delightful video. At 14:43 he mentions that Canadian researchers discovered that CBDA is 1000 - 2000 times more effective to prevent vomiting than CBD. That sent me to Project CBD and their new dosing guide for cannabis. Martin Lee of Project CBD just posted his CBD and Cannabis Dosing Guide update on April 1. I’m not through it yet. I’m on another search, but it’s high on my list to finish. Highly recommended. It’s what sent me to the closed door. So.... my question was how effective was CBD against vomiting to begin with? Turns out at low doses CBD may be effective at preventing vomiting. That suggests that the increased efficacy of the acid precursor would be effective no matter what. At 1000 - 2000 times more effective in mice, you’d think that would be significant enough to have an appreciable effect in humans. Mice aren’t humans. We need some humans to put this to the test. I reach for THC for nausea. The article by Martin did point me to a sister article by Dr. Stacey Kerr on Managing Nausea With Cannabis , where I learned that a 2:1 ratio of CBD:THC will not only quiet the nausea and vomiting from chemo and radiation, but also reduce the incidence of anticipatory nausea. Then I found myself wondering how much more effective CBD was in these situations to THC? Haven’t found that out yet. I’m still trying to get through my evening with Raphael. I’m having fun today. You?